Join my Facebook group for support navigating the next third of your life. Like-minded women share their experiences with a sense of humor. Listen to my podcast where I interview people who have gone after something they always wanted to try, and succeeded! 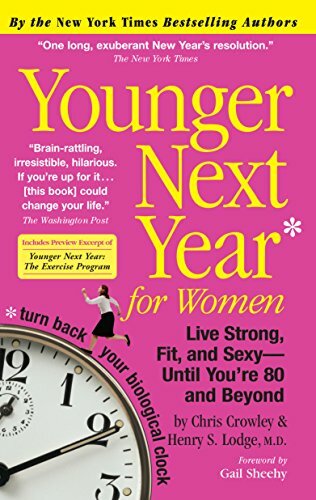 Younger Next Year This book will convince you to change your habits so that you can enjoy a full and meaningful life into your 80s and 90s. Start now. Self Journal from Best Self Co. Great Product and generous teachers. Getting Things Done - David Allen's brilliant methodology. "Your mind is for having ideas, not holding them." Marianne Williamson My favorite inspiration on Forgiveness among other things. ME Time – Motivating and Energizing Time Management, 3-Video Series to take control of your schedule. Get Going Again PDF – Questions to help jump-start your action. 7 Steps to a Life of No Regrets – My best advice about how to get moving on your plans and dreams. First Things First – 6 Keys to Prioritizing Power Plus 6 Methods to Manage and Master your Inbox.